Trumpeter Robert Roland Chuckney was born on September 27, 1927 in Philadelphia, Pennsylvania. Nicknamed “Red” for his brightly colored hair, Rodney began his career in swing but switched to bebop upon hearing Dizzy Gillespie. Rodney played with a number of bebop groups, including the bands of Gene Krupa, Claude Thornhill, and, most memorably, Charlie Parker. 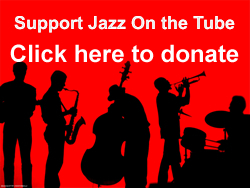 He started working under the stage name Red Rodney taking a chair in the big bands of Jerry Wald, Jimmy Dorsey, Benny Goodman, Les Brown, and Elliott Lawrence. After stints with Claude Thornhill, Gene Krupa, and Woody Herman, Rodney joined Charlie Parker’s quintet in 1949 and was called “Albino Red” as the group’s only white member to avoid racial incident while touring the segregated South. Rodney joined the band of tenor saxophonist Charlie Ventura in 1950, a musician with whom he had become acquainted during his time with Gene Krupa. In 1958 He left music and would spend years battling drug addition, legal problem, and severe dental issues from injuries suffered at the hands of the police. Following the tragic death of his wife and daughter in 1963 and years of struggle, a drug-free Red Rodney made a gradual comeback in the 1970s, and would later record a string of five exceptional albums with Ira Sullivan between 1980 and 1982. 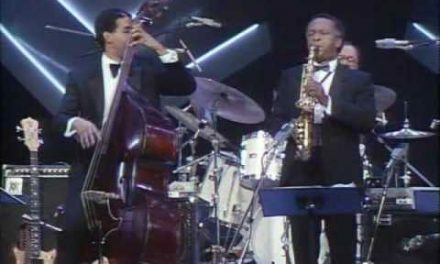 Red Rodney performs with saxophonist Frank Morgan in Cannes, France at the 1989 Palais des Festivals; also featuring special guests Jon Hendricks and Phil Woods.